The short answer is that golf courses have not always had eighteen holes. And in some cases they still don’t. Originally, courses had as many holes as space allowed and the players desired. From golf’s beginnings through the 1800s, some courses had as few as five holes (Leith, Bruntsfield and Blackheath), while others topped out at 25 (Montrose Links). Prestwick, when it was built in 1851, had 12 holes. St Andrews’ Old Course also originally had 12 holes, ten of which were played twice during round, for a total of twenty two. In 1764, however, the Old Course’s golfers decided to combine four of the shorter holes into two, reducing the total holes played to eighteen. Note however, that at this point, the course still did not have eighteen holes. Rather, it had eight holes which were played twice, and two played just once. A lawyerly interpretation of this, however, leaves open the question of what “or” means. At Prestwick, a “round of the links” would be 12 holes. A round at Montrose would have been twenty five. By playing eight of the ten holes twice, the Old Course met the standard of eighteen holes of play. Work on the Old Course by Alan Robertson in 1857 and Old Tom Morris in 1863 resulted in the double greens and 18 hole layout of the Old Course as we know it today. In doing so, the Old Course set a standard that other courses would follow. The adoption of the eighteen hole standard was no doubt aided by the fact that the Royal and Ancient Golf Club of St. Andrews, which became the game’s governing body, counted The Old Course as its home course. If Prestwick had emerged as the home of the governing body, perhaps twelve holes would be the standard. Another explanation for the dissemination of the eighteen hole standard is that R&A members playing at other clubs wanted to see a setup with which they were familiar. In the United States, the first 18 hole course was Downers Grove, in Illinois. The course was set up in 1892 by Charles Blair McDonald. Sadly, it has since been reduced to nine holes. In recent years, the notion of courses with fewer than eighteen holes has been revisited. Jack Nicklaus in 2011 endorsed the idea of a twelve hole course, citing the need to reduce the amount of time it takes to play a round. Island Hills Golf Club in Centerville, Michigan, currently has a 12 hole routing that is a subset of the regular 18 hole layout. Woodside Golf Course, near Lansing, Michigan, is specifically a 12 hole course. 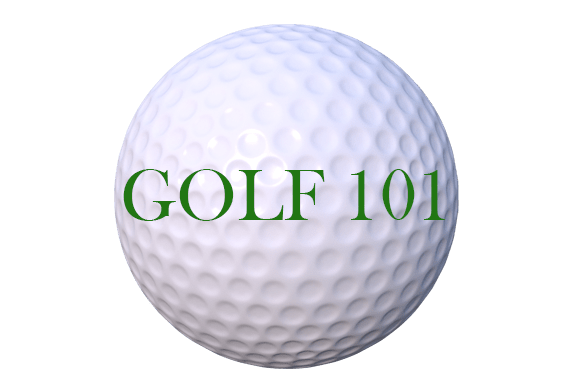 What is NOT true is that the number of holes on a course is based on the number of shots of whiskey in a bottle of Scotch. I think it would have been interesting to also get golfers who use cross-hand and claw as the putting stroke and have put the practice using those strokes. Do the test with them and see how the number play out when they switch to the other methods of gripping the putter.